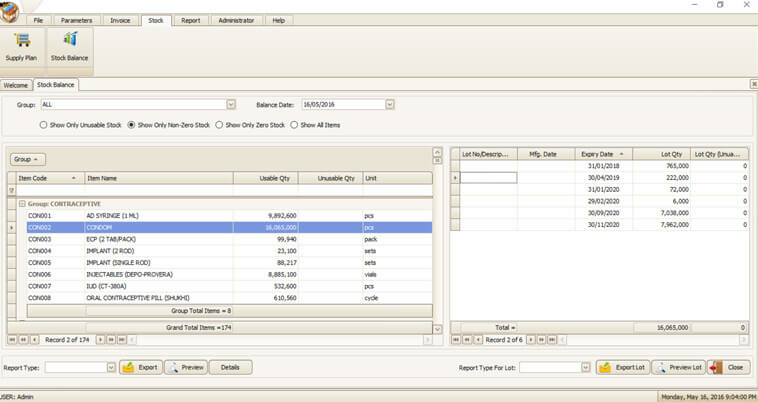 Inventory Management Simplified for Warehouses! Currently running in 21 Family Planning Warehouses in Bangladesh. 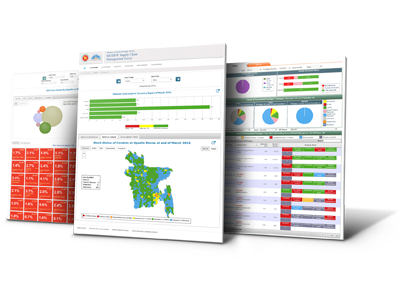 Currently runs in 488 subdistrict family planning stores of Bangladesh. 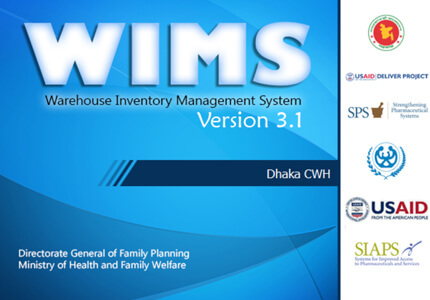 Warehouse Inventory Management System Version 3 (WIMS v3) is an inventory management software which is currently installed and operational in Central Warehouse and 20 Regional Warehouses of Directorate General of Family Planning (DGFP) under Ministry of Health and Family Welfare (MOHFW), Bangladesh. 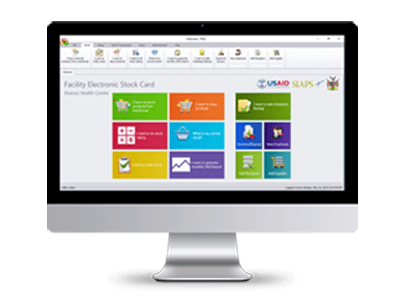 WIMS v3 is used to maintain store inventory, automated supply planning, automated issue voucher generation & automated monthly reporting. 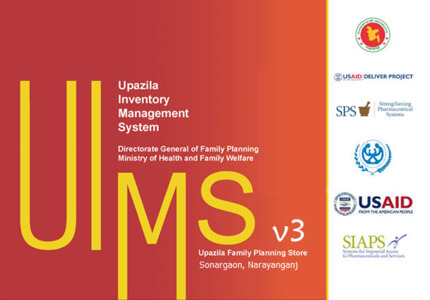 Upazila Inventory Management System Version 3 (UIMS v3) is an inventory management software for DGFP subdistrict stores and is currently operational in 488 family planning upazila stores around Bangladesh. 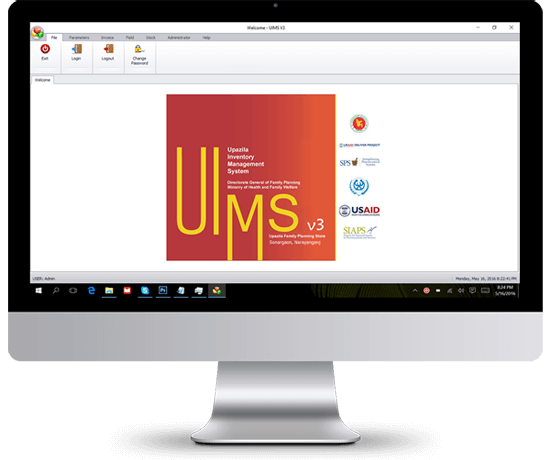 UIMS v3 maintains store inventory, automated supply planning, automated issue voucher generation & automated monthly reporting. All data from WIMS v3 and UIMS v3 are uploaded to central web portal (https://scmpbd.org) automatically after certain interval. 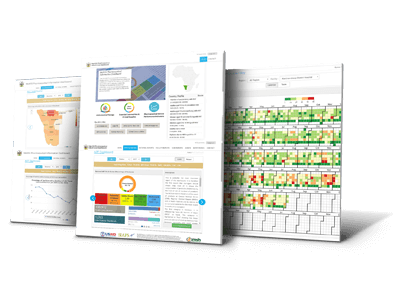 WIMS/UIMS generates monthly logistics report on the click of a single button! Another click uploads the report to central server. 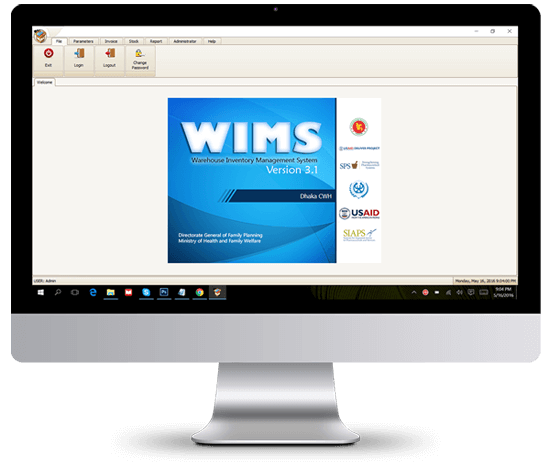 WIMS/UIMS has option to automatically upload data to central server at set interval or data can be uploaded based on user requirements. 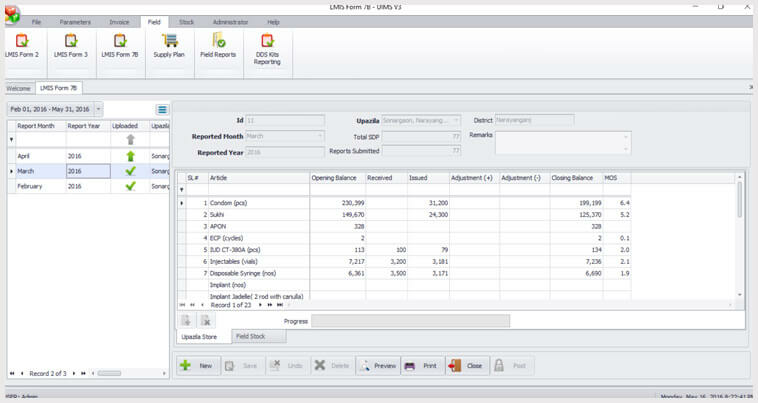 WIMS/UIMS has options to calculate issue quantity of major contraceptives based on average monthly use - on the click of a button.  Another click generates all the issue vouchers. WIMS/UIMS v3 has batch/expiry management in-built. 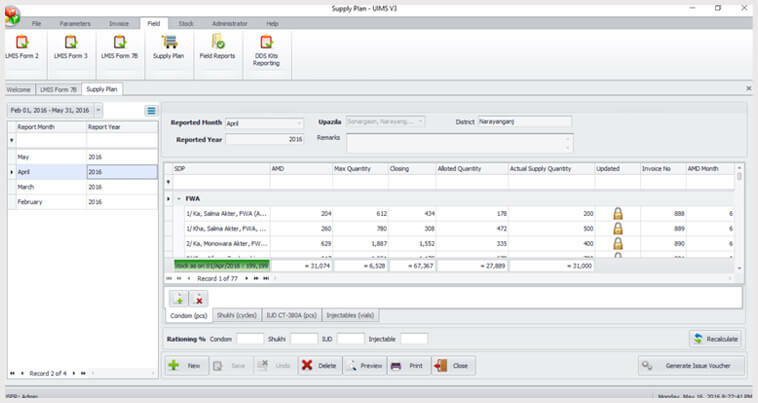 Issue is based on First-Expiry-First-Out (FEFO), software automatically selects the latest expiry batch during issue.